The U.S. Environmental Protection Agency (EPA) recently updated its clean air standards for residential wood heaters, with the intent of making new wood-heating units burn significantly cleaner through new emissions standards. These first-ever federal air standards for previously unregulated new wood heaters cover outdoor and indoor wood-fired boilers (also known as hydronic heaters), indoor wood-fired forced air furnaces, and single burn-rate woodstoves. According to the EPA, the new standards require new woodstoves and heaters to operate about 80 percent cleaner than current models. This will lead to important air quality and public health improvements in communities across the country. Why did the EPA take this action? The agency based its decision on the fact that smoke from residential wood heaters can increase toxic air pollution, volatile organic compounds, carbon monoxide and soot to levels that pose serious health concerns. Manufacturers believe these new regulations for emissions most likely will make woodstoves more expensive or even difficult to find. For homeowners and businesses looking for alternatives to wood heaters, propane hearth products and furnaces offer a cleaner-burning, healthier option. Propane stoves, fireplaces and furnaces are more efficient and convenient than woodstoves, and they operate on a fuel that’s easily available even in rural areas of the state. 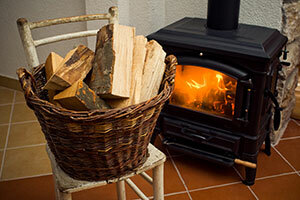 Manufacturers remain uncertain what the future holds for wood heater prices and availability. But it’s clear that propane heating products will now play an even bigger role in bringing clean-burning, affordable warmth to Connecticut, New York and Massachusetts homes and businesses for many years to come.